I wanted to let you know that I was very satisfied with the service provided by The LorenzTeam. From the presentation by Jeff to your follow-through, Dianette and I could not have been more pleased. We would use the LorenzTeam again and recommend you to others. I wish you all continued success. In both the sale and purchase of the houses, Jeff and Ed were thorough in going through the contracts and ensuring that everything was covered, communicated, and signed off on. We felt comfortable in having Ed and Jeff work as a team in meeting our needs both as sellers and buyers. The negotiations that we saw from both Ed and Jeff were impressive to say the least! Julie was fantastic to work with and although we knew she was working mostly behind the scenes, we knew that she was an integral part of the LorenzTeam. In our emails and phone calls to Julie, she was very friendly and a delight to deal with! Thank you again for your hard work and dedication in providing excellent customer service to us. We are proud to call you our REALTORS® and will be sure to recommend you to our friends and family! Greg was extremely helpful in assisting us in research of not only the housing component but information to do with the community and services available. Great to see.Very knowledgeable and open minded to all properties we wanted to see. Once there he never rushed through a property but instead added value to our pros vs cons conversation with regards to surrounding infrastructure/location etc. You guys were amazing to work with and made a big life change go really easy! Thank you all for all your help!! Your team served us well and kept up in the loop throughout the process. Can’t think of anything else you could have done better. 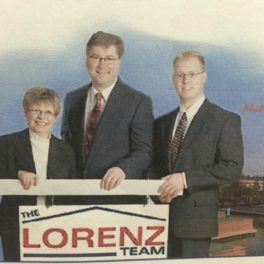 We very much enjoyed working with the Lorenz Team. One of the strengths of the company is that everyone works closely together. Whenever Jeff was unable to visit a house with us, he would make sure one of his colleagues could provide us with the house showing. Jeff was always very informative and quick to respond to us. We would definitely recommend The LorenzTeam to other friends looking for a house! We look forward to working with the team the next time we are in the market for looking for a house. Everyone on Ed’s team was fantastic. This was a very stressful time for us and all of you helped tremendously to keep some calm!! 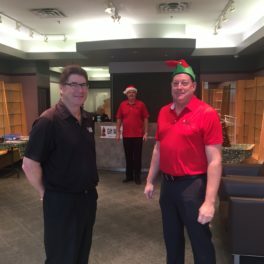 Thank you, Jeff and especially Ed for all your help and advice. Thank you Greg for your assistance and service in the sale of our house. We would be happy to refer you to anyone we know who is looking for a Real Estate Associate. Thank you once again for the awesome job your team did in selling our land, we would highly recommend your team to anyone we know selling a property! Thanks again. 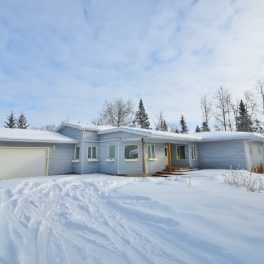 We successfully sold our acreage and found our new to us home in Sherwood Park. All of which we could not have accomplished without everyone’s expertise, diligence, and advice. We did find the process stressful for which we believe to be normal but thanks to David’s patience we managed through the transaction. Thank you David and The LorenzTeam! My fiancé and I used Greg as our Real Estate Associate when we purchased our first home. He was great! He was very knowledgeable about the areas we were looking in and always made sure our best interests were a top priority, especially when looking at older homes. He wasn’t afraid to tell us what he thought about certain details which we truly appreciated. We used Greg again when selling our first home a few years later, as well as purchasing our new home. Greg made a tough sale seem painless, and he got us into our new home quickly without issues when we had a short possession date. Greg was always available to talk, answer any questions and to give you advice which we really liked as everyone has a busy life and different schedules. We would highly recommend Greg to anyone we know looking to buy or sell a property no matter the circumstances! Greg, Thank you so much for all of your advice, honesty, expertise and help during our house shopping and buying experience. We really appreciated it! And we really enjoyed working with you, you are AWESOME!!! My wife and I recently purchased a house in Sherwood Park. It was our first experience moving from one home to another. In researching a realtor we followed the recommendations of our girls who had both used Greq Litwin to help find their present homes. They said their experiences were made both informative and enjoyable by Greq. Living around two hours from Sherwood Park Greg made sure he booked full days for us to search knowing we did not wish to travel back and forth too often. It took three days of looking before we found what Greg referred to as “a must have.” During our experience we saw a variety of homes of which many had good characteristics and also some down falls. We appreciated that Greg not only took us around he also pointed out things to watch out for in looking over any possible acquisition. Our search took us to between 30 and 40 houses. While the experience was at times exhausting overall we enjoyed it. My wife and I both would recommend Greg highly. Our girls recommendation proved accurate. Greg Litwin was referred to our family to help with purchasing a home in Tofield . He made viewing properties effortless on our part, often accommodating our last minute requests as we were from out of town. He provided us with honest and informative feedback on the houses and neighborhoods we viewed, helping us to quickly narrow down our options. Greg clearly guided us through all aspects of the buying process and went above and beyond to make sure we were 100% happy with the negotiations. He quickly shared feedback with us and the closing process was seamless. Greg exceeded our expectations hands down. Professionals like him, in any field or occupation, are incredibly rare to come across. He truly cares about his clients and it shows. We are so thankful to Greg and would recommend him hands down to anyone buying or selling property in the area.